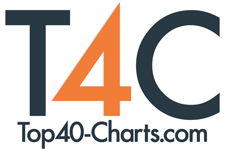 New York, NY (Top40 Charts) 'The Original Ghost' tackles her dad 'ghosting' her. Charlie Melrose was born into a musical family - her Auntie is 80's music royalty, Hazel O'Connor (D-Days, Will You, Breaking Glass) and her father is Neil O'Connor. Throughout her childhood, her father would be away a great deal due to the requirements his career in music, especially while working with The Human League but as a child this was something Charlie says she found hard to deal with and didn't really understand. In the end, her father's work took over and Charlie felt like she was totally dropped - which undeniably many daughters and sons would have an affinity with. Despite Charlie's attempts to try and have a relationship with her father, he ended up cutting off contact and 'Ghosting' her. That is the backdrop to Charlie's new single. The story of their relationship both as a child and as an aspiring musician is a fascinating and heart rending story. 'The Original Ghost' is Charlie's attempt to come to terms with some of the confusion that affected her childhood and still burdens her today as an adult, her story as she explains resonates with many thousands of children who are now adults; the song's lyrics combine both sadness and empowerment.